Discussion in 'SPS' started by mikejrice, Jul 30, 2018. 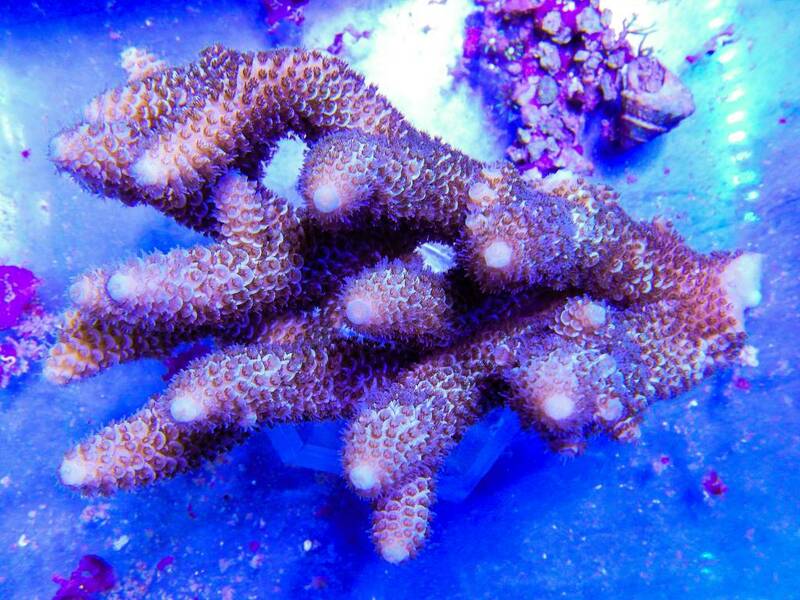 Difficulty Level: Acropora requires very stable water water conditions to thrive, but sensitivity will vary depending on specific species. 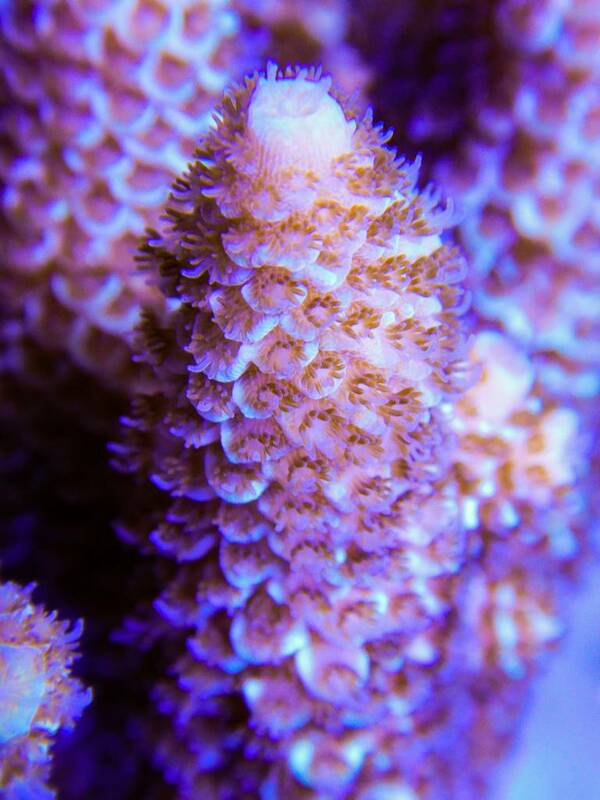 They fare much better in mature reef tanks with little or no fluxuations in water parameters. 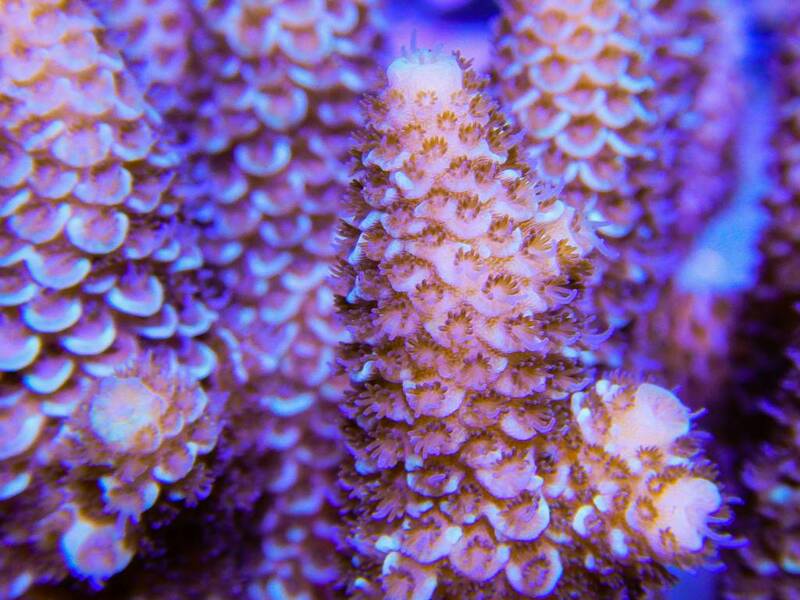 Heavy flow, lighting and usually dosing are required to keep acropora flourishing. 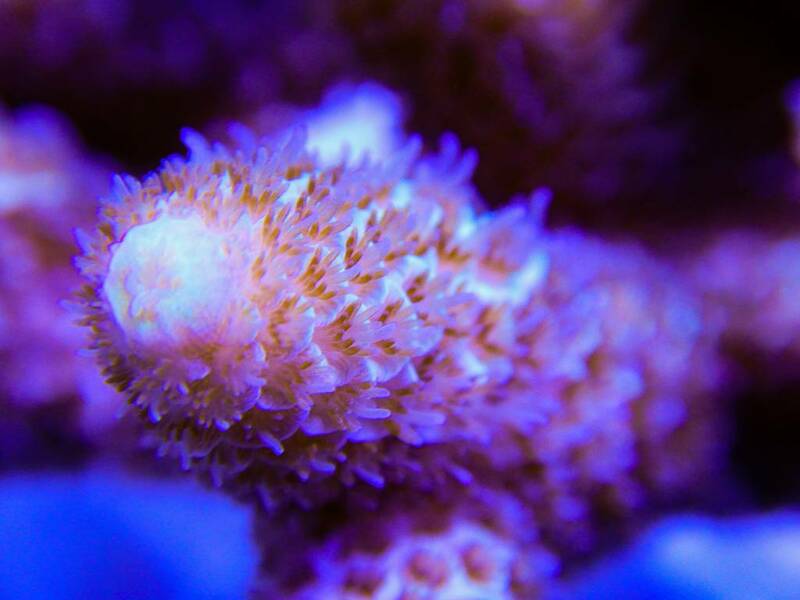 Feeding: Acropora have very small polyps, and thus need very small food matter. Phyto and rotifers are the best food choices. These may be fed by broadcast dispersion or directly by applying it in the current up-flow from acros. In either case, flow should not be modified during feeding time. 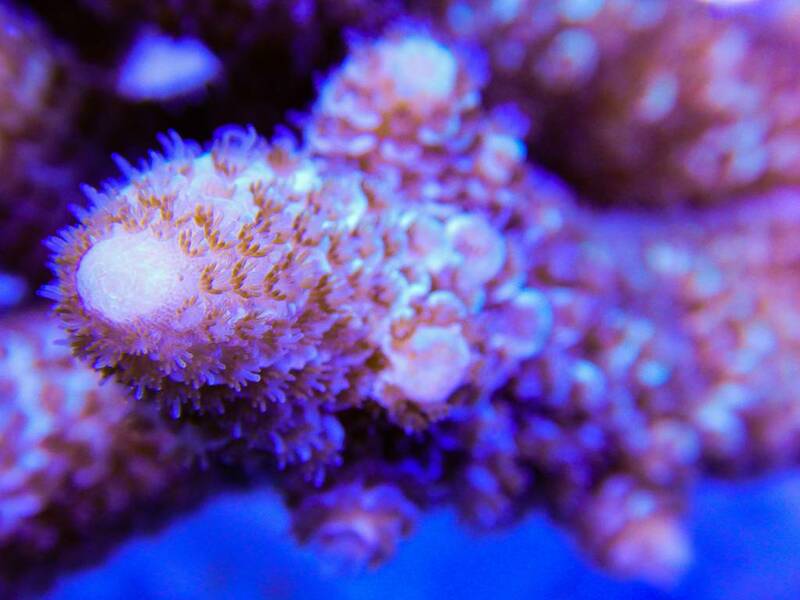 Lighting (Level 7 to 10): Acropora need intense lighting, and though they may survive under lesser lighting, growth rates can be accelerated under higher lighting. 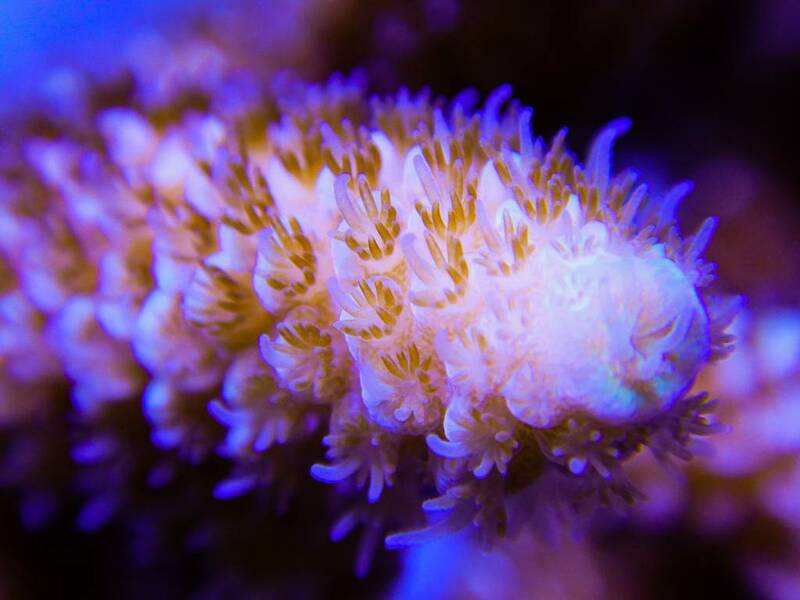 Take care when transferring them from lower light areas to high as they may bleach and die in an attempt to adapt. 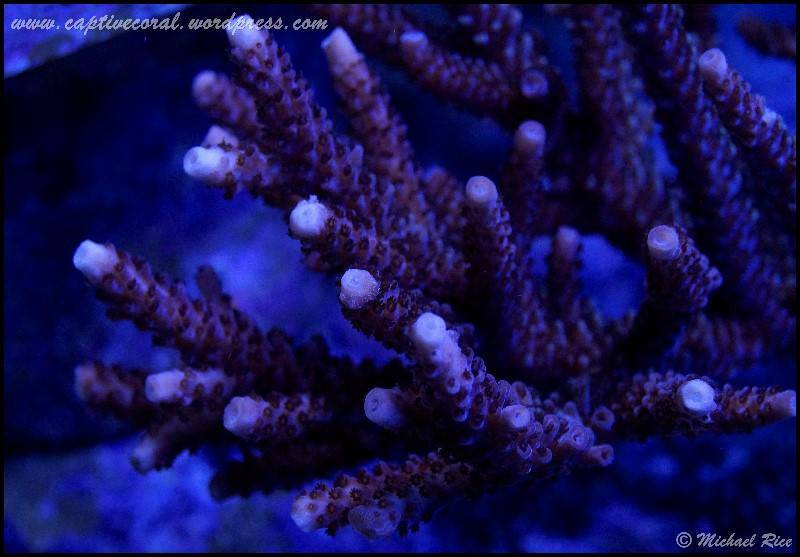 Water flow: Acropora require strong water movement to keep the skin clear of detritus and debris. A varying current usually clears them the best by providing flow from all angles. 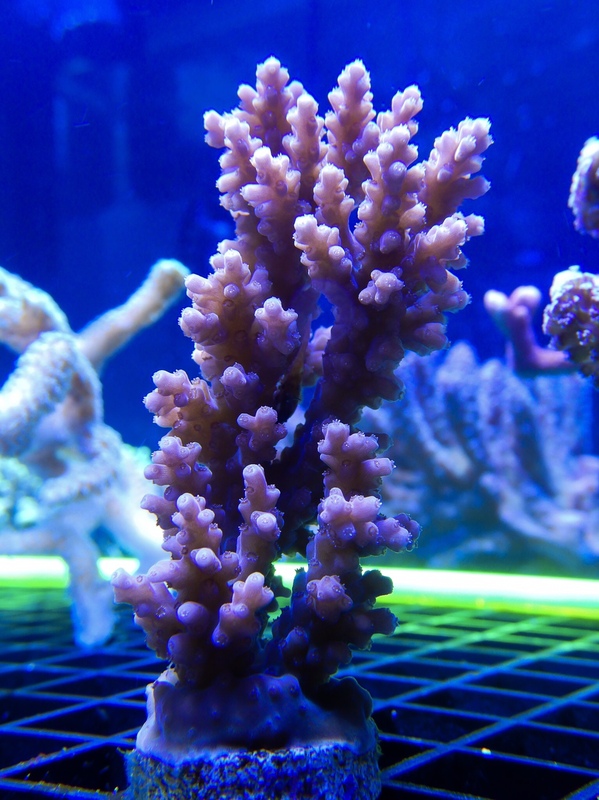 Colonies in heavier flow will typically exhibit a tighter growth pattern than those in lower flow. 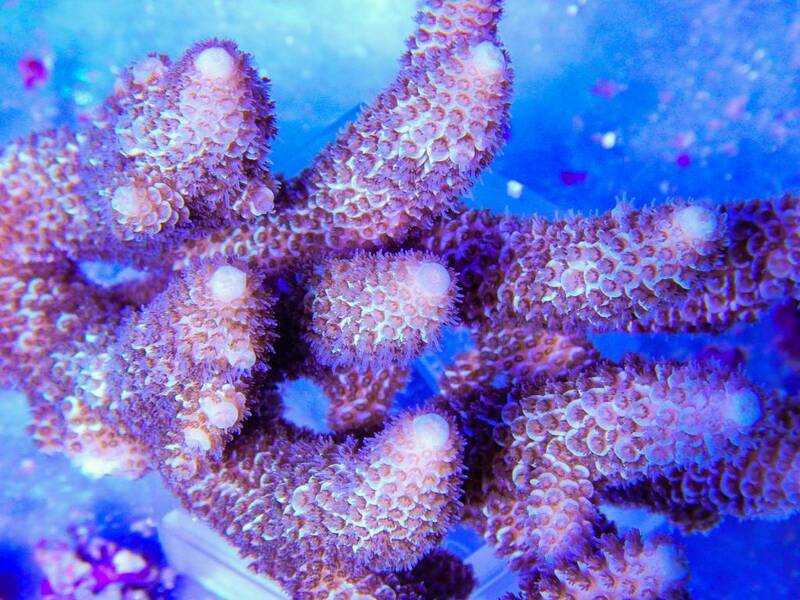 General: Acropora may fall victim to several types of pests, so all specimens should be inspected and dipped before adding them to the display aquarium. 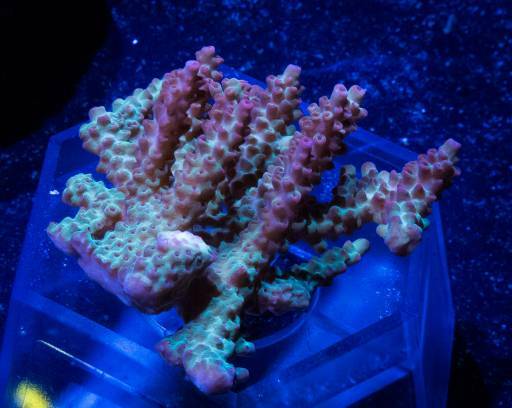 Acros will generally grow their base first when fragged in order to securely attach themselves to provided substrate after which they will begin growing axial polyps and lengthening branches. 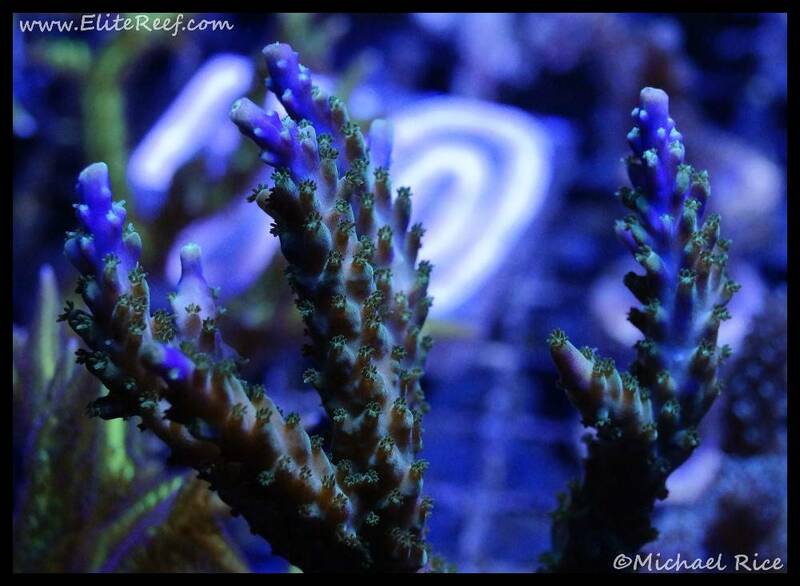 I have an article coming up in the next issue of Reef Hobbyist Magazine about fragging SPS Coral, so I got to have a nice little photo shoot with an acropora recently. 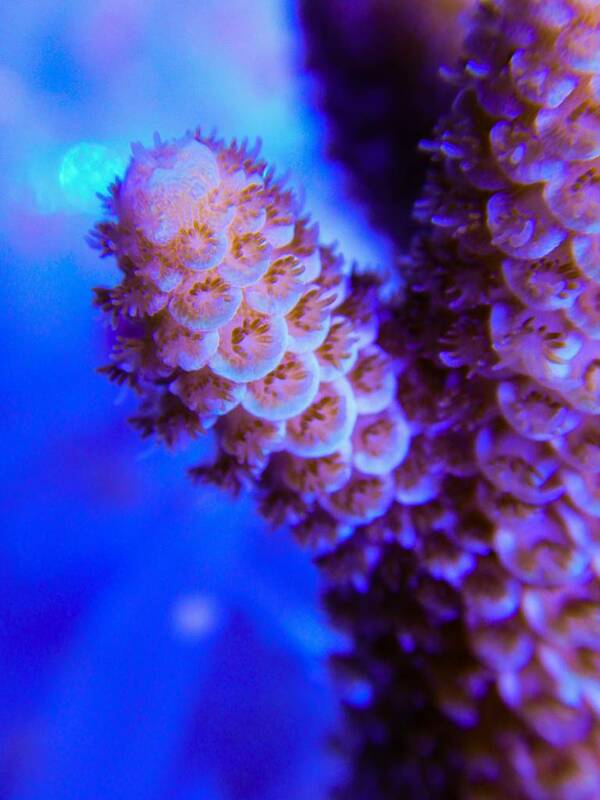 It always amazes me the amount of detail they exhibit if looked at on a macro scale. 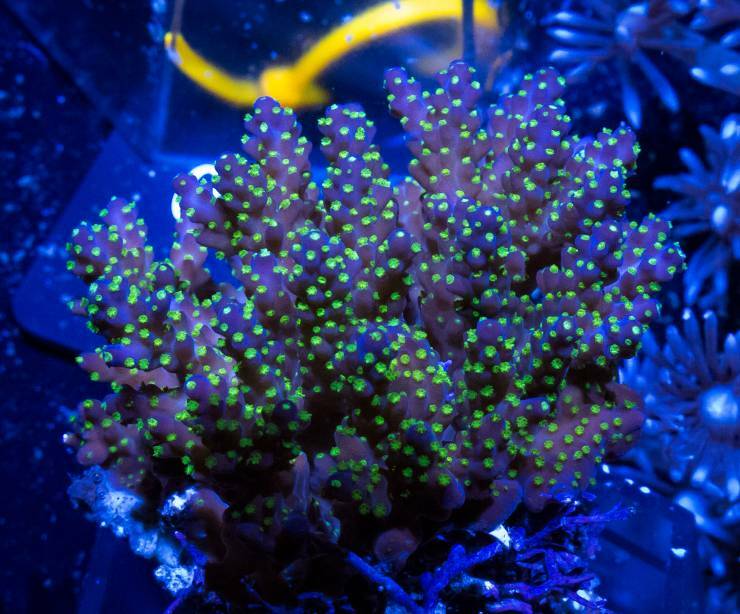 Enjoy some images, and don't forget to check out my article coming up! Always a classic. 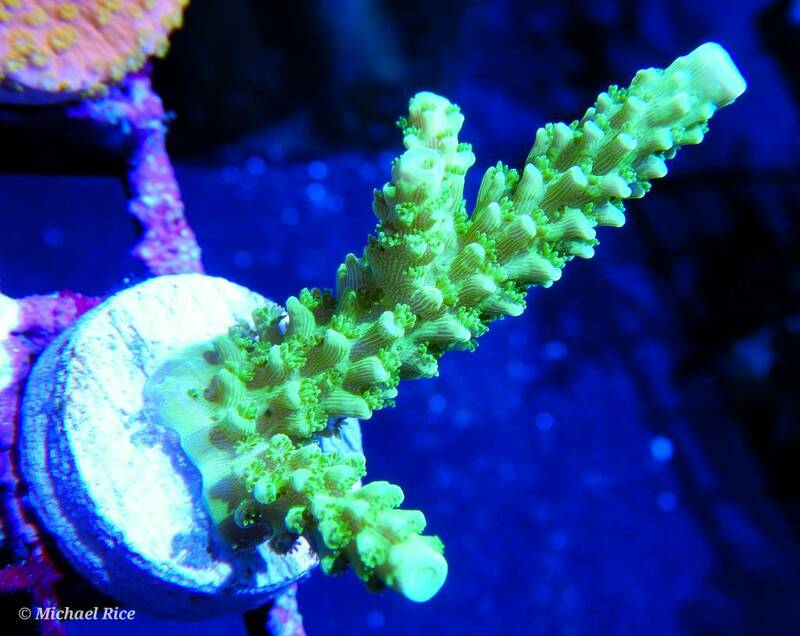 Green slimmer acropora doesn't have much in the way of contrast, but the color is always so intense! Quick growth rate too. 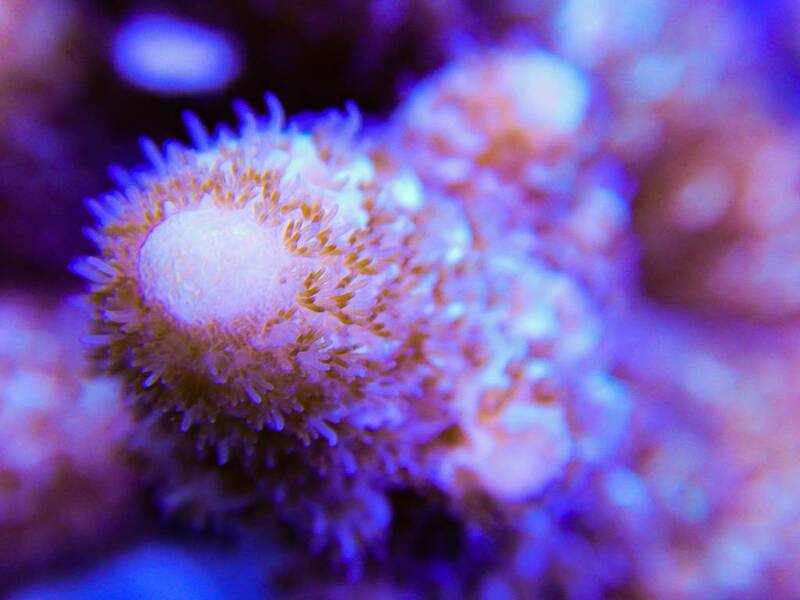 Anyone have a huge colony of this monster lurking in their tank?